is an accredited German language school with the advantage of small classes and personalized education. Each class averages approximately 18 students. The school offers different levels of German language proficiency. Special emphasis is given to the A1 level which leads to the START DEUTSCH 1 PRÜFUNG. The school receives educational materials from Goethe Institut Manila and joins in the German language teaching seminars offered by the Institut. It uses books recommended by GI Manila and integrates the culture, history, geography and lifestyle of German speaking countries to better help students understand life in Europe as a whole. Included in the curriculum are feedback sessions as to performance, review classes and diagnostic tests which simulate the Start Deutsch A1 exams. As of 28. August 2007, applicants for a German residence permit (Family reunion visa, Marriage visa, Au-Pair visa, Working visa, Student visa, etc.) must provide Proof of Basic Knowledge of the German Language. A certificate (Start Deutsch A1) is given by the Goethe Institut Manila upon passing the Start Deutsch 1 language examination. The Start Deutsch A1 is a preparatory course which leads to the SD 1 language test. Special attention to given to helping students cope with the Start Deutsch 1 examinations. This course is approximately two and a half (2 ½) months. 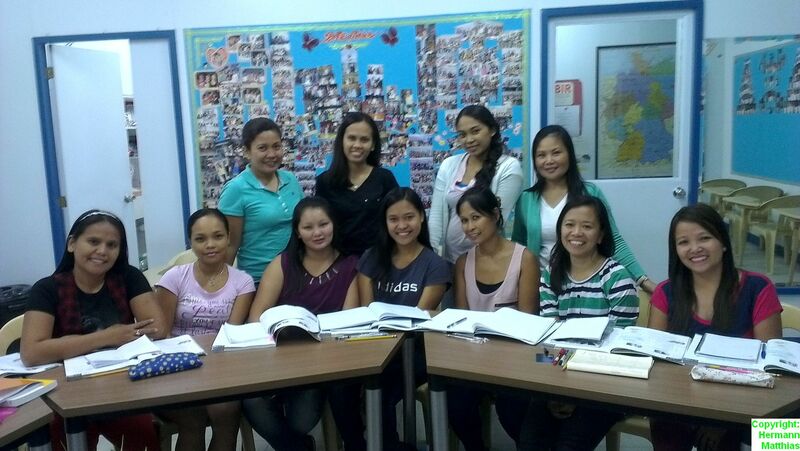 Exams here in the Philippines are conducted by the Goethe Institut Manila and are held monthly. There are also exams held in Cebu. The test schedules will be decided by GI – Manila.